What are the collective nouns for bees and drones? Which one do readers like/prefer? I love the “charm of bees” – for that is what they are! However, my favourite collective noun remains a “congregation of drones” – as in a Drone Congregation Area. The conclusions are confusing and inconclusive – with the drones continuing to keep the mystery of drone congregation areas secret from the human race! Unless, of course, anyone out there has cracked the code!? Feed on every kind of fruit…. “Perhaps the one stage in bee-keeping that requires the least protection and minimum of courage is “swarm catching” – that is, taking natural swarms after they have alighted in a cluster on a bush or other object they have chosen for the purpose. To me, it is one of the most interesting sights in Nature to watch a swarm leaving the parent stock, rising on the wing, and performing beautiful, mazy evolutions like a country dance mid-air, to the accompaniment of a soft, melodious, gentle hum, so indicative of peace, goodwill, and enjoyment at the prospect of establishing a successful home of their own; the main body keeping up these beautiful movements whilst the scouts are flying hither and thither in search of a suitable spot on which to alight; and then to see them hasten to a bush in thousands, and threading in and out amongst foliage, and now here, and there, until the scouts trumpet forth the call to assemble. I have never yet discovered that call, but it must be well known to the bees; for when the spot on which to alight is found, and the call is made, you will see all the bees that are on the wing head towards it, even those that form the most distant circle. Let the midday bees strike up their lazy hum! The swarming season is drawing to an end. We caught one final swarm this week – making it a total of five. Two of the swarms decided to move on within days of being put into their new home. I have often found this happening when there are several really hot days after the swarm has been moved. It is only natural, I suppose. We have enough colonies, anyway. As June draws to a close, the June gap has taken away the youthfulness of Spring and the seasons are drawing breath before the garden once again flourishes with July and August colours. I can’t wait for the purple firework displays of the buddleia to come out! I was moved this week by a fascinating insight into Rabindranath Tagore’s “Relevance for the Future of Spirituality and of Humanity” by Deepak Chopra given a few years back at the Tagore Festival. It is well worth watching: I have not come across Tagore’s work before – but Chopra kept referring to a book of poems of his called Gianjali which I downloaded (for free) from an amazing website called The Spiritual Bee. Here is part 89 of the collection. It really struck a chord for me. I hope you enjoy it too! “No more noisy, loud words from me ⎯ such is my master’s will. Henceforth I deal in whispers. The speech of my heart will be carried on in murmurings of a song. Men hasten to the King’s market. All the buyers and sellers are there. But I have my untimely leave in the middle of the day, in the thick of work. Like many beekeepers in the UK, 2014 turned out to be a very good season for honey. With a very wet start to the year, we had a near-ideal spring and summer. Having a previous record of 150 lbs in previous years, this year we managed to take off 250 lbs form 4 hives. I’m sure other beekeepers have achieved more productivity per hive – but for us, it was a great year. 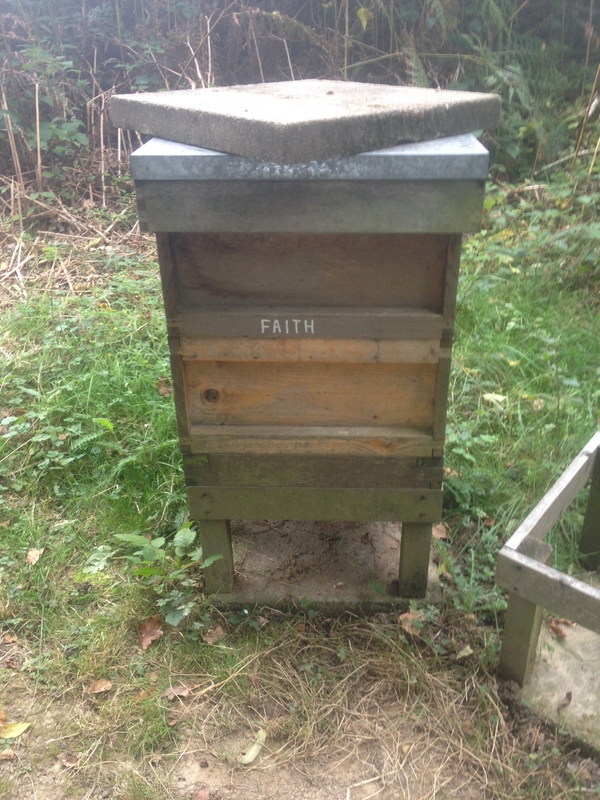 Faith (the first hive I ever installed) continues strongly having re-queened a number of times – and lives up to her name. 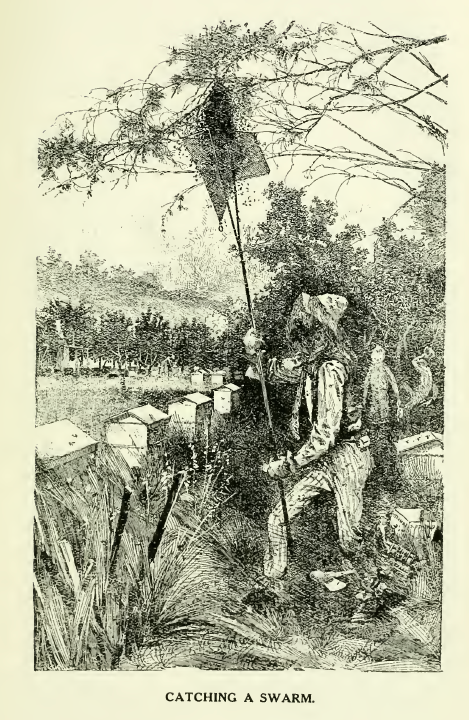 She produced the best crop of honey with four supers (not all full). The more observant will see an additional concrete block on the top of the hive. I had problems with badgers tipping some of our hives over a few years back. The weight of the block on top of the hive seems to have stopped this particular problem. Faith, with two brood chambers, ready for over-wintering. I will write more about the other five hives in future posts.